Ryan Gosling commands the camera the second Drive begins. Although he says very little in the film’s first 20 minutes, Gosling’s impact is immense. Gosling is Driver, a movie stunt driver who moonlights as a getaway driver for anyone who will hire him. 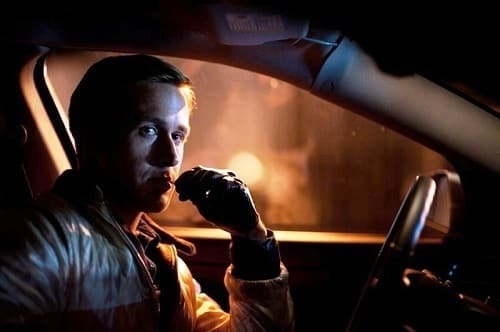 The film commences with a scene featuring Gosling as the latter as he patiently awaits two people he is charged with driving away from a robbery of some sort. The clock ticks, the police sirens get ever closer and yet Gosling never flinches. Sure as the first man arrives out of the building, he sits in the backseat and becomes increasingly more anxious as seconds go by looking for his partner to emerge. It is clear in this first of the film’s many outstanding moments that Gosling not only commands this film, he owns it. That fact is not a surprise since -- as Gosling told Movie Fanatic in our interview -- the actor was integral in the film’s development. With director Nicolas Winding Refn on board, the duo crafted a moment in cinema for 2011 that is one of the best. It crackles with excitement, but what makes Drive so delicious is how its quieter moments only enhance the action. Gosling’s Driver lives in an apartment down the hall from Irene (Carey Mulligan). They run into each other in the building a few times, but it is underplayed and the pair don’t truly meet until Irene’s car needs work which lands her at the mechanic shop where Gosling works. His boss, played with usual panache by Bryan Cranston, offers his employee's services in driving Irene home since it’s clear the two know each other. The spark of romance is hinted at, but immediately hindered by the fact that Irene has a husband, and he will be out of jail soon. What happens next is a barrage of emotional power, sizzling action sequences and acting performances that blew us away. Cranston is fabulous, but stealing scenes left and right is funny man Albert Brooks. His gangster is so frightening that audiences suddenly feel threatened merely by the sight of the actor in any scene. Also up for the fight is the always awesome Ron Perlman. As Refn weaves his tale, the crescendo of the film comes through an impending triangle of confrontation with Gosling, Perlman and Brooks -- where the result will leave audiences breathless. Drive is unlike anything audiences have seen in a very long time. In many ways, it feels like a 1980s film with its title treatment and score. Yet it is also timeless in its ability to create a story that is compelling in its own right, regardless of the date stamp. The film is powerful and yes, violent. But the violence on screen perpetrated by the film’s characters is ingrained in their DNA and therefore, never over the top given who these characters are. 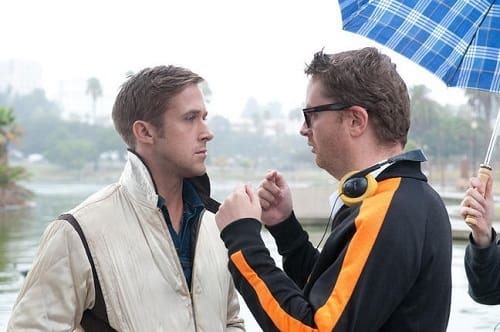 What also rocked in Drive was how the filmmakers made the city of Los Angeles a character. It is established early that Gosling’s character knows the over 100,000 streets of the city -- something priceless in a getaway driver. Some may think that Drive is another Transporter type film. It is not even in the same field of vision. Drive is driven by character, cinematography and yes, drive that makes it so much more than a movie centered on a man who must always drive away. In fact, viewers are drawn into Gosling’s world and held there by a well edited, astoundingly acted and impressively put together piece of enduring cinema.